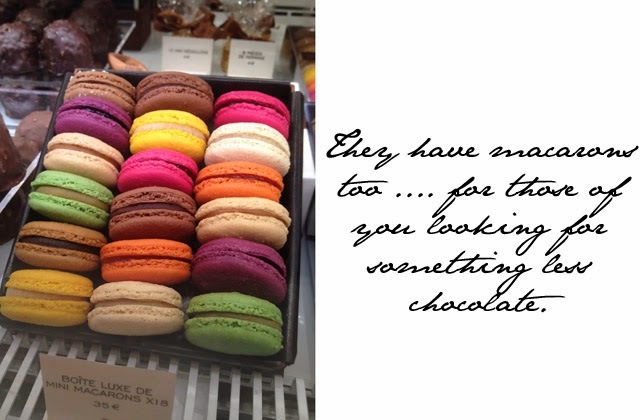 While in Paris with NEXT, we paired up with a culinary expert to tour the city's most famous chocolate hot spots. While the usual haunts were listed, there was one place we visited that we had never visited before - Angelina. The queue was out the door as tourists and Parisians alike waited to order either a piping hot beverage or a fluffy eclair. 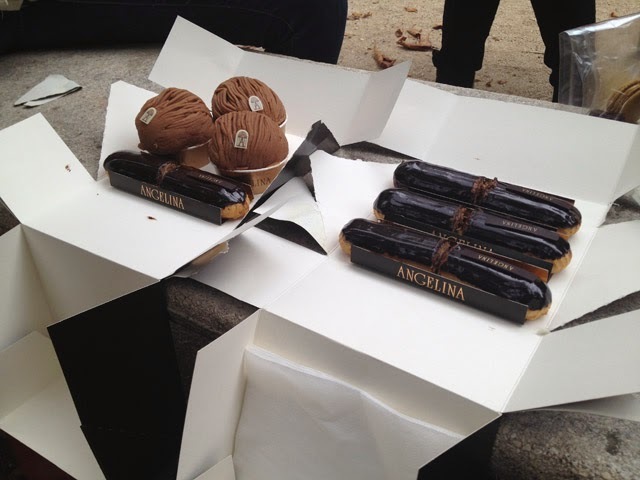 Of course we had to have both the hot chocolate and the overindulgent eclair. You only live once right? 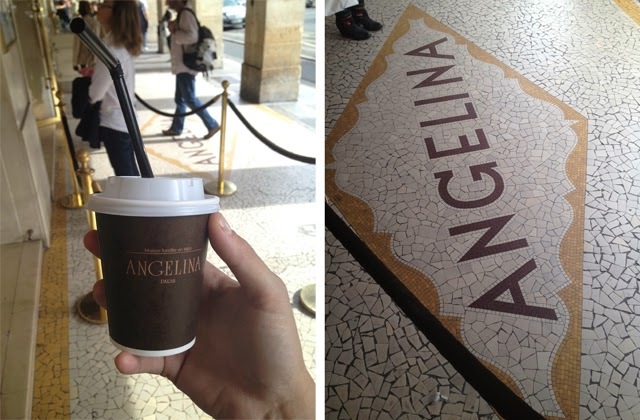 While I'm more a "from the powder mix" sort of hot chocolate girl, I must admit Angelina's hot chocolate was from another world entirely. 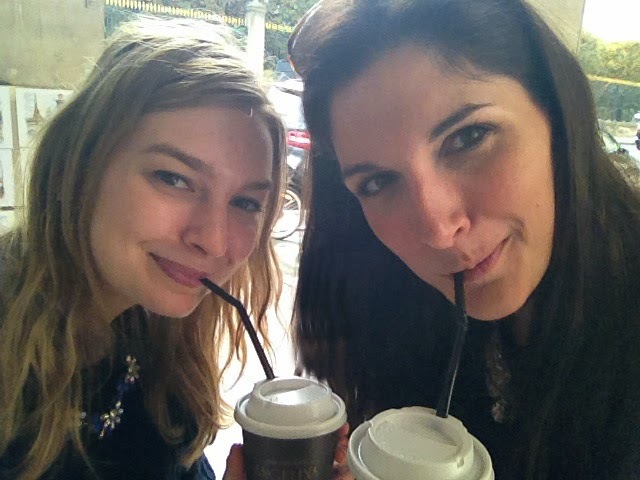 It is quite literally like sipping a chocolate bar through a straw. After three sips I couldn't take it anymore and surrendered my cup. Alas, I am a Swiss Miss with tiny marshmallows woman. 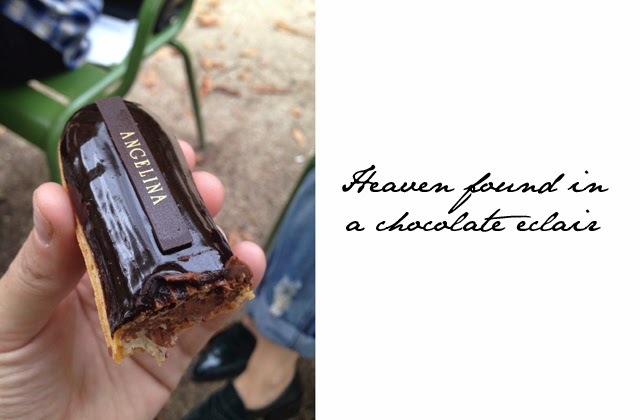 When it comes to the chocolate eclair, however, I can only say I hope you all manage to try this at least once in your life. Never have I eaten anything so slowly, so delicately. Every single bite was a step further into some sort of wonderful food coma where all of Paris disappeared around me and it was just me and this beautiful creation enjoying the most perfect moment in time.